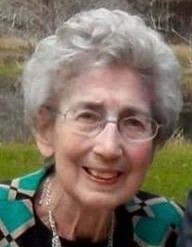 Shirley Witt Thomas, 84, of Lake City, passed away Tuesday evening, February 5, 2019, at Solaris Healthcare after an extended illness. She was born in Lake City on November 1, 1934 to the late Ralph Witt, Sr. and Geneva Harden Witt. She was a secretary at the Lake City VA Medical Center for over thirty years and was a member of Southside Baptist Church. In her spare time, she enjoyed tubing the Ichetucknee River and spending time with her grandchildren. She is survived by her loving children, Danny Thomas (Debbie) of Lake Butler and Donna Giebeig (Hugh) of Lake City; grandchildren, Cailey Thomas and Witt Thomas, both of Lake Butler, Betsy Hawethorne of Bradenton, Mary Garrett of Lake Butler, Jodi Garcia of Ocala, Heather Geibeig and Kristin Yancey both of Lake City. Nine great grandchildren and nephew, Steve Witt (Jodi) of Lake City also survives. Funeral services for Mrs. Thomas will be conducted on Sunday, February 10, 2019 at 2:00 P.M. in the chapel of Gateway-Forest Lawn Funeral Home with Pastor Chris Jones officiating. Interment will follow in Memorial Cemetery. The family will receive friends from 5:00-7:00 P.M. on Saturday, February 9, 2019 at the funeral home. In lieu of flowers, the family requests that donations be considered to, Southside Baptist Church, 388 SE Baya Dr, Lake City, FL, 32025.